The European Investment Bank will provide EUR 60 million towards development of the NUI Galway campus. The first ever loan to the university from Europe’s long-term lending institution, agreed in Galway earlier today, will finance construction of campus developments including new student residences and a new building for the College of Medicine, Nursing and Health Sciences. At the signing, Dr Jim Browne, President of NUI Galway said: “The University is nearing the conclusion of a ten year capital development plan, which has transformed our campus. While philanthropic and State funding have enabled much of this expansion, the support from EIB will assist in the completion of our new Human Biology Building, which will transform the learning environment for our health science students, as well as the development of new campus student accommodation. Construction of new residences for 430 students is well underway, and at a time when there are such significant issues nationally with supply of housing, we are looking forward to having this increased capacity during the next academic year.” “Future generations of students will benefit from the transformation of Galway’s already impressive campus made possible by the EUR 60 million EIB financing agreed today. Irish universities are recognised around the world for both their academic and research renown, and enjoyable student experience. The European Investment Bank is committed to ensuring that world-class third level institutions across Ireland can build on these strengths in the years ahead. This follows successful cooperation between the EIB and all Irish universities and EUR 1.2 billion support for Irish education investment in recent years.” said Andrew McDowell, European Investment Bank Vice President. Following agreement for the new financing for NUI Galway the EIB will have supported campus investment at all seven members of the Irish Universities Association. Over the last decade the EIB has provided EUR 1.2 billion for education investment across Ireland, including EUR 675 million for investment in third level education in the country. EIB loan agreed in Galway The first ever EIB loan to the university was formally agreed in Galway earlier today by Dr Jim Browne, President of NUI Galway and Andrew McDowell, Vice-President of the European Investment Bank. “I have set the ambition to make Ireland’s Education and Training Service the best in Europe within a decade. Investment from the European Investment Bank has made a significant contribution towards advancing us to this goal. State of the art facilities are key to being the best and in recent years, new schools and universities in Cork, Limerick, Maynooth and Dublin have been transformed as a direct result of the EIB’s commitment to Ireland. Less than three years ago the EIB set out to ensure that all Irish universities could benefit and now Ireland is the only country in Europe where all universities have benefited from EIB backed investment. Today’s meeting with the Irish Universities Association will set out how to ensure that Irish education continues to benefit from EIB’s technical experience and financial expertise.” said Richard Bruton, Minister for Education and Skills “The new EUR 60 million EIB loan to NUI Galway will ensure that the university continues to lead research across a range of disciplines including medtech. Strengthened EIB backing for Irish universities in recent years is ensuring that students, researcher and staff at Irish universities are already benefiting from better facilities and the latest technology across the country. The EIB’s firm commitment to support future investment is a clear vote of confidence in world class Irish universities.” said Mary Mitchell O'Connor, Minister of State for Higher Education. During the visit the EIB delegation saw at first-hand how ongoing modernisation and new construction was transforming research, education and recreation at the university. Completion of dedicated Irish university financing programme The new financing agreement between NUI Galway and the European Investment Bank marks the successful completion of a dedicated initiative to support capital investment at Irish universities launched in October 2015 and ensure that all Irish universities could benefit from low-cost, long-term EIB financing. In recent years the EIB has financed transformational investment to improve teaching, research and student facilities at Trinity, UCD, DCU, University College Cork, Maynooth University and the . 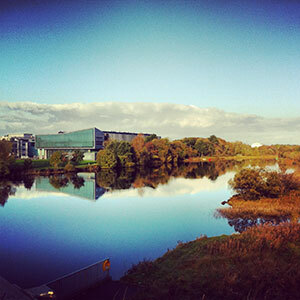 University of Limerick. NUI Galway has been named 'University of the Year 2018' in the Sunday Times University Guide, securing the prestigious accolade for a third time, having won the inaugural title in 2002 and again in 2009. Outperforming 21 other third-level institutions, NUI Galway's strong reputation as a centre of excellence in relation to medical technology, its excellence across the arts and sciences, its impressive progression rates as well as having the best job prospects of any other Irish university were among the reasons for the award. Alastair McCall, Editor of The Sunday Times Good University Guide, said: “In the eight years since NUI Galway last won our University of the Year award it has continued to grow its global reputation as one of the great seats of learning. Some of its academics are among the most cited in the world and its reputation spans the arts and the sciences. The university brought in more than €65m of research income last year, evidence of the cutting edge at which many of the academics operate. 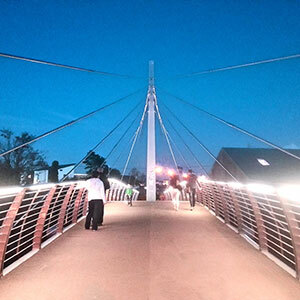 "It is also pivotal to the regional economy, rooted in its community and playing an active role at all levels. Its students are encouraged to volunteer and be part of that community and not just come to Galway as educational tourists. When Galway is the European Capital of Culture in 2020, the university will be at its heart; the newly-opened O'Donoghue Centre for Drama, Theatre and Performance a bold statement of the importance of the arts to the university. "Its triumph in this year's University of the Year award is also a tribute to the leadership of University President, Dr Jim Browne, whose 10-year term of office ends early next year. He leaves NUI Galway in a position of great strength, ready to make further progress in world and national university rankings, and offering a distinctive third level education to future generations of students.” The award is not only based on league table position but on an assessment under 22 criteria on the university's role on a local, national and international level “We are very well attuned to the needs of the country and the region,” says Dr Jim Browne, President of NUI Galway. “We try to orient our programmes to support the ambition of our students and the needs of our economy in the longer term. We also try to have an appropriate balance of traditional academic scholarship and work-based learning. We have a target that 80% of our undergraduate students would have experiential learning.” Dr Browne added: “Our students and staff are the vital ingredient that make this University truly special and this award acknowledges their creativity, innovation and hard work. The ambition here knows no bounds and I am confident that we are on a path for even greater renown for this institution and the region.” Sunday Times University of the Year Statement The University, which excels across the arts and sciences, has seen considerable recent investment. 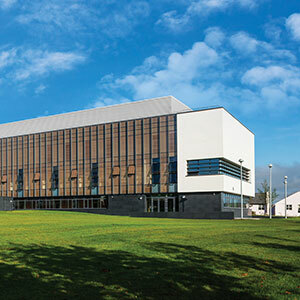 Michael D Higgins, President of Ireland, opened the O’Donoghue Centre for Drama, Theatre and Performance in April and a medical academy has come on stream in Donegal, in the grounds of Letterkenny University Hospital. The University has a reputation as a centre of excellence in relation to medical technology, as evidenced by the launch in September 2016 of Cúram, Science Foundation Ireland's (SFI) centre for research in medical devices. The centre promotes links between academia and industry partners. The SFI and various companies will invest €49m over six years, with €19m more in funding coming from the EU’s Horizon 2020 programme. 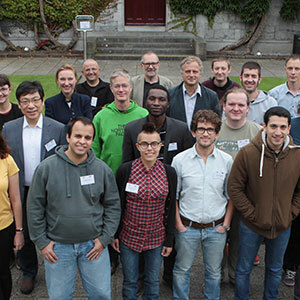 The quality of academic staff at NUI Galway is also crucial to the university’s success, with a number of professors such as Dr Henry Curran, Professor Colin O’Dowd, Professor Donal O’Regan and Dr Ronan Sulpice named among the world’s most highly cited researchers in an analysis of published research by multinational group Clarivite Analytics. Research citations have helped the university rise further up the international university rankings this year. Academics garnered around €89,000 per head in research income in the Good University Guide’s latest survey of research power. 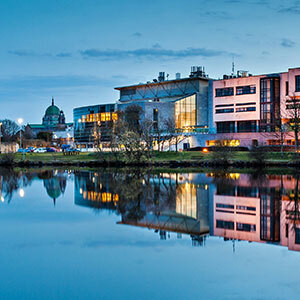 NUI Galway boasts the best job prospects of any university in the republic with an impressively low three per cent graduate unemployment rate, together with one of the best progression rates, which sees 88% of students complete their studies. More than 260 students took part in NUI Galway access and foundation courses this year, with 150 receiving an offer of entry. In total, the access programme office has 1,100-plus undergraduates on its books. NUI Galway's openness to alternative means of teaching and learning is evident, too, in its work with the Irish language. The university is close to the Connemara Gaeltacht, the largest Irish-speaking area in the country and as such NUI Galway celebrates and promotes the Irish language offering classes from beginner to advanced level as well as programmes taught through the medium of Irish. 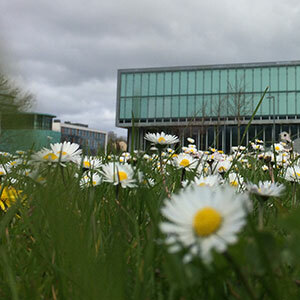 NUI Galway Performance in World Rankings NUI Galway has been the only university in Ireland to rise consistently in the most competitive World University Rankings. Both the QS and Times Higher Education Rankings have placed the University in a higher position year-on-year, and the University is now counted among the Top 250 universities in both rankings. 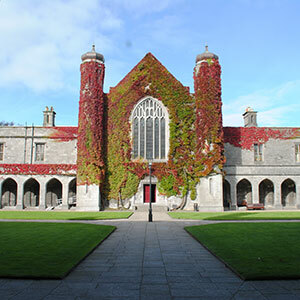 According to QS, NUI Galway is among the Top 1% of universities in the world.